Caledonia Farm 1812 - This top-rated bed and breakfast is a magnificent federal-style home adjacent to the Shenandoah National Park and Skyline Drive. Enjoy dining at the Inn at Little Washington. Creek-Crossing Farm B&B - Nestled in a secluded valley just outside the present day village of Lincoln, Creek Crossing Farm has been offering gentle hospitality to all who have come here. Funny Farm Inn - The Funny Farm Inn is a picturesque and charming property with a relaxing atmosphere. Enjoy the warm, friendly hospitality, personalized attention to detail and dedication. Greenville Farms Campground - With bathhouses and hot showers, water and electric hook-ups(30&50 amp) dumping station, camp store, laundry, picnic tables, firewood, propane gas, swimming pool and more! Inn at Fairfield Farm - The Inn at Fairfield Farm is an historic Virginia B&B located near the center of Marriott Ranch's 4,200 acres. Guests are welcomed with a complimentary tray of cheeses and beverages. Cheesecake Farm B&B - Sometimes you just want to get away and do your own thing. To spread out, relax and unwind. How about a cozy, comfy, Agrobnb at Cheesecake Farms? The milk cottage - Experience Country Agrobnb accomodations in our cozy and charming "farmstay" cottages! Our two elegantly furnished cottages give our guests comfortable lodging. George's Mill Farm B&B - Georges Mill Farm B&B offers the finest in amenities for those seeking a perfect getaway in the rural Virginia countryside. 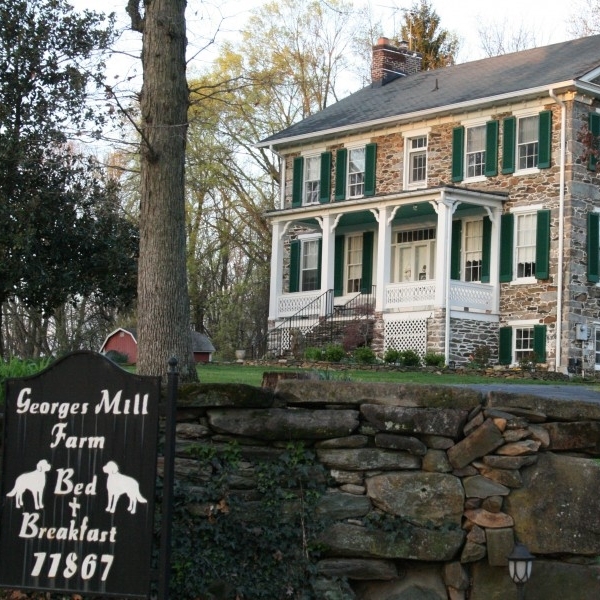 The Georges Mill Home is a Civil War era Stone house. Idyll Time Farm Bed and Barn - This colonial oak and chestnut house is very private and cozy. After a total restoration, it was even featured in This Old House Magazine. The cottage can sleep five people. 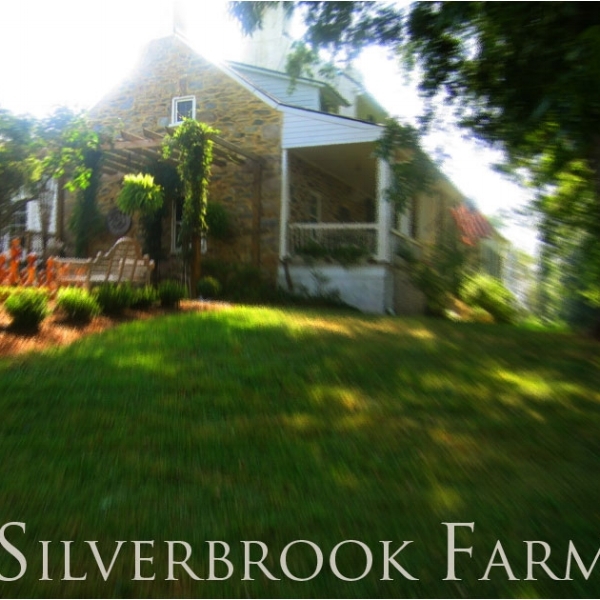 Silverbrook Farm - A charming country AgroBnB and event site. 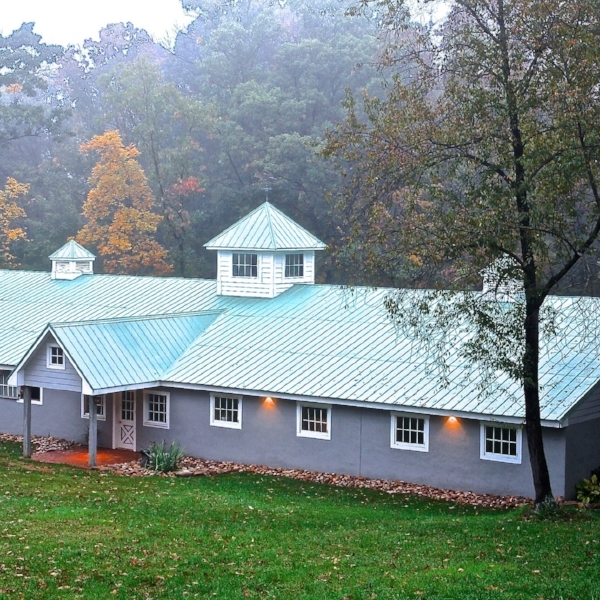 Silverbrook Farm lies nestled between the Blue Ridge Mountains and the picturesque Short Hill Mountain, offering a vista of rolling countryside.